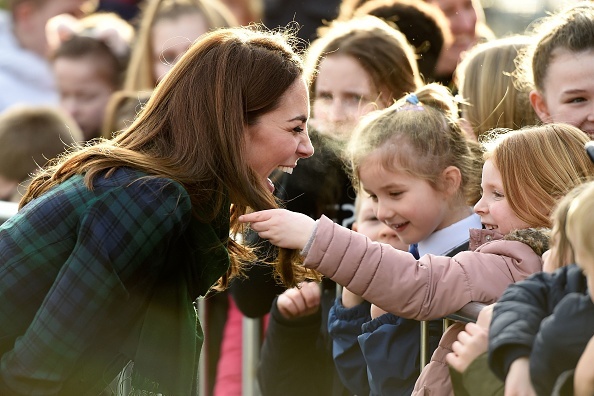 Kate Middleton took a trip to Dundee, Scotland, yesterday where she completed some royal engagements as well as taking time to meet with fans who stood for hours awaiting the duchesses arrival. 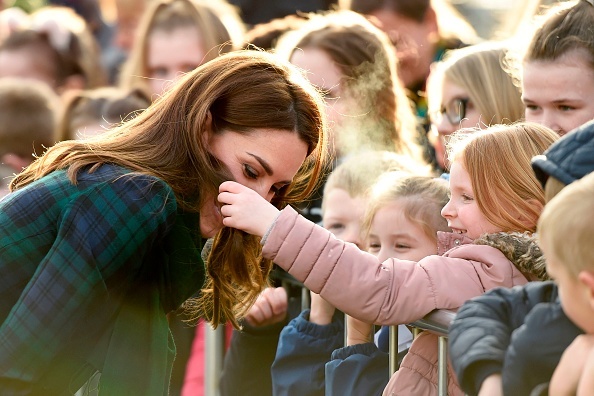 Among those fans, was a little girl who couldn't help but to grab hold of the royal's signature styled locks. Touching her hair while smiling at the royal, Kate burst into a giggle as the pair exchanged a couple of words and it was clear the tot was in awe of her hair. In fairness, we'd be the same, it's just always so sleek. 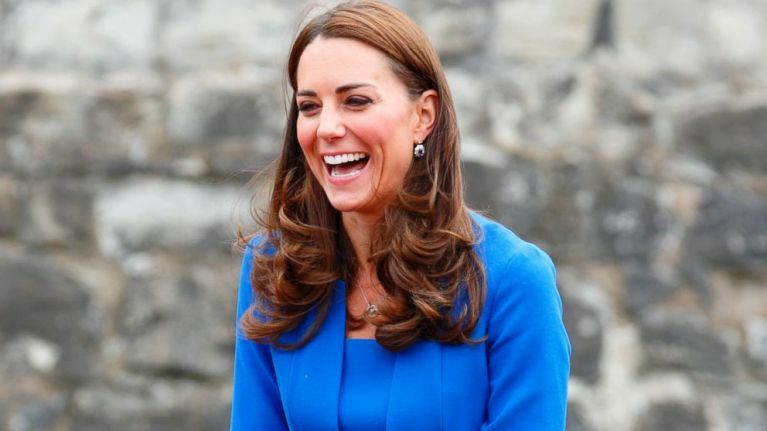 And Kate's signature blowdry is one she's known for, with royal wedding hairstylist, Richard Ward, revealing that it's all about drying on a low speed and twirling the hair when removing the curlers. 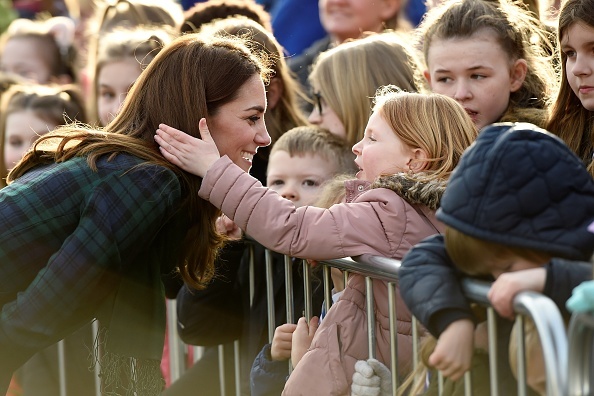 But aside from the 'do, Kate also gave an update on her youngest while in Scotland. According to People, Kate said that her nine-month-old son was " a fast crawler" and she then went on to chat about how she was looking forward to bringing her children to visit the new museum. We can't wait for those photos! The last glimpse of Prince Louis was from the family's official Christmas card which was released in December and we imagine he's grown even more since then. Official portraits were previously released for Prince George and Princess Charlotte's birthdays so here's hoping the same happens for the youngest prince's upcoming birthday.